Parents, this is a plea. If you are a regular reader of my blog or my book, Teenagers 101, you know that I’m generally upbeat and always espouse a partnership between parents and teachers. You know that I love teenagers – still – after teaching for 20 years. So when I tell you that I’m absolutely exhausted from trying to hold your kids accountable, I hope you receive it in the spirit in which it is intended. I’m asking for your help. I’m asking for you to join forces with me and every teacher out there to stop enabling our almost-adults and start preparing them for the real world. 1. Contact a teacher when your child gets a less than desirable grade, with the primary purpose of asking for a re-do or a grade change. 2. Fill out applications for your kids to join clubs or organizations at their school. 3. Email teachers or check online lesson plans so that you can take charge of your kids’ schedules and assignments. 4. Allow your children to stay home when they are not legitimately sick, either as a break or to avoid a test or due date for which they are unprepared. 5. Question authority when your children have made poor choices and are dealt consequences. 1. Grades are negotiable. If they don’t like the grade they’ve been given (grades never seem to be earned unless they’re A’s), it’s just the beginning of an argument about why the grade should be changed. 2. They are incapable of putting forth their best selves. They don’t know their own strengths. They don’t know their own desires. And if they are uninterested or tired, you’ll do it for them. 3. Learning is the responsibility of teachers and parents, not children. They are merely passive receivers of information. Learning is not an active pursuit, so they have no real stake in it. 4. Lying is fine. Disorganization is fine. Irresponsibility is fine. If they don’t want to do something, they shouldn’t have to do it. 5. They should not have to face the consequences of poor decisions. Your love for them is equal to covering for them. It doesn’t involve teaching the tough lessons because doing so would be best for them in the end; it’s more about making sure they know how much you love them right now. I spend more time in my book talking about accountability than any other topic. You know why? Because accountability is the basis for everything we do in life. We either take responsibility for our decisions and our actions or we don’t. We either own our behavior or we don’t. Every single one of us knows people (and we don’t have to look far – they’re usually in our own families) who are 48 years old and still don’t take responsibility for their lives. They blame others for their lot, they make excuses for their behavior, they live off the kindness and generosity of others, and they make the same mistakes over and over again. Many of these people could easily trace this pattern back to their early years when someone could have taught them accountability, but didn’t. Are you going to be the parent of that 48-year-old? What can you do now to help your kids take responsibility for their actions? Teachers, I’d love to hear your stories, and parents, I always want to hear from you. It’s interesting how life throws you into conversations and provides coincidences that make you think long and hard about your convictions. Just a couple hours ago, I sat talking to a friend who lamented her son’s thoughtlessness and inconsideration. I won’t go into details to protect the not-so-innocent; suffice it to say that she didn’t appreciate her son’s lack of concern for her or her plans. We talked about how self-centered kids (even grown ones) can be and wondered how old our kids would have to be before they actually considered us when making plans. One hour later, I came across this story while killing time on Facebook. It tells of a 14-year-old boy, who, in an effort to preserve feelings and be kind to all, purchased a Valentine balloon for every single girl at his school. He funded this gift from money he had earned and saved over the years. Extraordinary, I thought. So there are kids who think of others and make sacrifices for the greater good. Actually, while the story was uplifting and sweet, it wasn’t all that shocking to me, because if I’m honest, I see kids committing acts of kindness on a regular basis. That’s the wonderful thing about being a teacher – I’m surrounded by kids all day long, and I get to see the good, the bad, and the ugly, the realness of young human beings who are so much more than the stereotypical selfish brats portrayed in the media. Kids, particularly teenagers, still enjoy a sense of youthful abandon. While we adults make sacrifices, keenly aware of what we’re giving up, they simply give because it’s the right thing to do at the time. Kids embody the notion of pureness of heart and selfless generosity so often lacking in adult giving. I have the pleasure of leading my school’s National Honor Society, where students perform regular service in and around the community. I also chaperone mission trips, where kids work all day, sometimes performing heavy manual labor and many times stepping out of their comfort zones, to help those less fortunate. I’m here to tell you that if you think kids are selfish and teenagers don’t care about anyone but themselves, you need to spend more time with them. I’m lucky and blessed that I get to see just how incorrect that assumption is. Kids are no more selfish or self-centered than adults, and in fact, tend to have unbiased and not-yet-cynical mindsets that cause them to reach out to others without judgment or prejudice. They help the impoverished without questioning the recipients’ work ethic or financial responsibility. They work among various races without rolling their eyes and muttering that their predicament is just so typical. They see need for exactly what it is – need – and they step up to fill it, no questions asked. We adults may think that kids just don’t know enough yet, but perhaps they know something we’ve forgotten. Perhaps they remember that everyone deserves a second or third chance, that it doesn’t hurt to give, and that everyone, at the end of the day, just wants to feel valued. Whether it’s a boy buying Valentines for every insecure, longing-to-be-accepted girl, or kids traveling to third-world countries to provide comfort, kids are out there, every day, making a difference. Admit it, you saw the title of this post and immediately began singing, Hey, Hey, Hey, Hey! 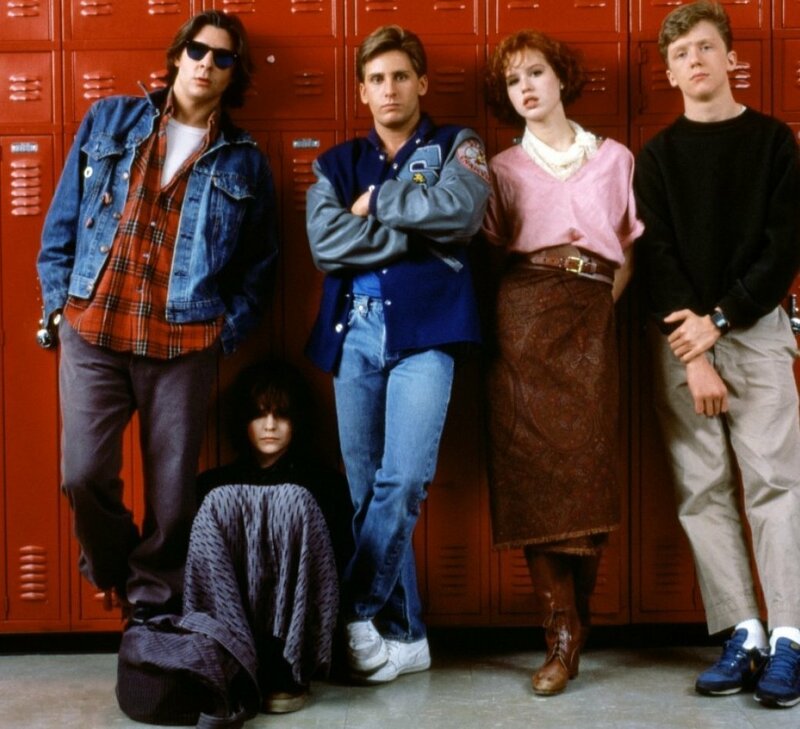 Don’t you forget about me… You instantly envisioned Judd Nelson, arms pumped above his head and Molly Ringwald’s diamond stud shining from his ear as he strutted across the football field. The Breakfast Club is an iconic movie, one that never seems to lose its luster or its relevance. But here’s something I bet you didn’t know: According to the Stage of Life Teen Trend Report, 51 percent of teens in 2015 have watched this 30-year-old movie. Speaking from experience, my own students have not only seen it, but speak of it lovingly. They hold close to their hearts this strange group of kids and never notice the paradox – they weren’t even a sparkle in their parents’ eyes when The Breakfast Club met for detention in the school library all those years ago. Teenagers never really change. Sure, they become consumed with different interests as time and technology march on, but who they are, how they feel about adults, and how they feel about each other? Unchanged, despite the decades. Everyone wants to belong. Maslow said it way back in 1943 and it’s every bit as true in 2015. Belonging isn’t just a want, it’s a psychological need. Teens today are just like teens of yesterday in that they oftentimes feel alone or isolated from the crowd. Just one person – even someone radically different – can help a teen feel accepted. But everyone wants to be different. We all want to be unique, to have our own quirks and our own idiosyncrasies that make us uniquely us. The degree to which we desire this dictates the distance we are willing to go to be different. Ally Sheedy’s character, Allison, was willing to make snowflakes out of dandruff if it brought her some attention, while Emilio Estevez’s character took the safe route and found popularity through sports. It didn’t matter how they went about it, though, because all teens want to be noticed for something that sets them apart. They believe adults don’t understand them. Ask any teenager how many adults truly “get” them, and they’ll roll their eyes and utter an oath. While teens greatly respect some adults and tolerate others, they generally believe that adults can’t really understand them and certainly don’t remember what it was like to be their age. Everyone gets made fun of for something. Too rich, too poor, too perfect, too weird, too geeky – you name it and kids will make fun of it. I’ve never met a teenager who wasn’t teased about something at some point in his or her life. For teens, being reminded that they’re not alone in this comes as a great comfort. Does that answer your question? Sincerely, The Breakfast Club.